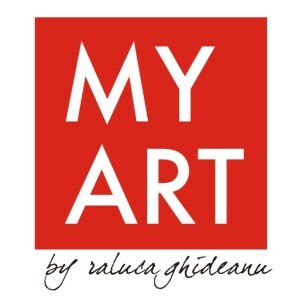 Raluca Ghideanu is a young and active Romanian artist. She mostly develops in the area of sculpture where she has over 20 national and international group exhibitions, three international art biennial, five solo shows, five public art sculptures and an international sculpture award. She also works in the area of scenography, Tv sets design and costumes and from 2010 she has a brand in interior and object design. In present she coordinates a performance art workshop at the University of Fine arts Bucharest. Her sculpture characters speak about life, about rediscovery and redefinition, about the prisons in which we find ourselves. They are continuously searching for themselves and for their significant others. Usually their bodies, elongated and flattened, reveal the material texture or are uniformly colored. The colors, predominantly red and black, are now turned into vivid, luminous colors. In female characters the dress appears as a symbol of personal and social exposure. It starts to acquire color and texture, thus being the witness and concurrently the exponent of the inner feelings.